Craftsman VersaTrack Wire Shelf Only $6.50! Down From Up To $12.99! You are here: Home / Great Deals / Craftsman VersaTrack Wire Shelf Only $6.50! Down From Up To $12.99! Sears has this Craftsman VersaTrack Wire Shelf on sale for $6.50 (Reg. $12.99)! 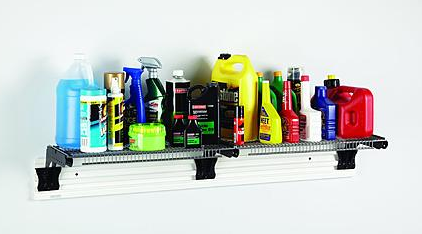 The Craftsman VersaTrack wire shelf is one innovative storage solution! The sturdy shelf attaches to your wall of choice, creating a new place for storage out of wall space. Put gear and supplies onto the shelf, freeing up the floor around it. This wire shelf is great for the home garage or the shop as it helps you stay organized. Looking for other items to put on the useful shelf? Store tool boxes, automotive additives and more.